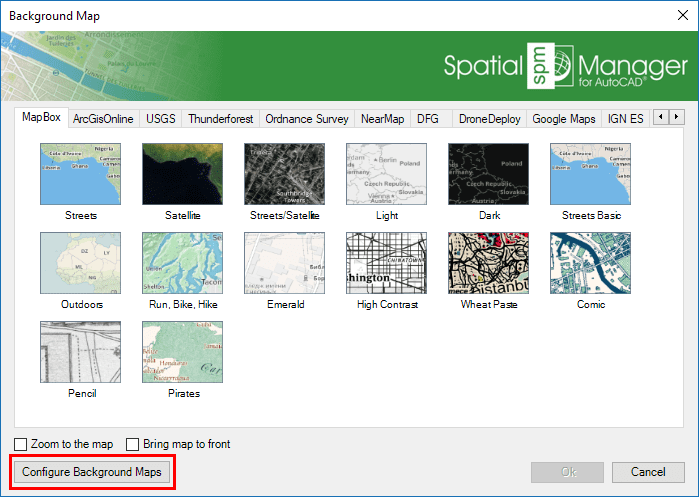 2 How can I display a 'Background Map' in the drawing? 3 How can I hide the 'Background Map' in the drawing? 4 Need to have some reference in the drawing to use the 'Background Maps'? 5 Is there any special condition to use the 'Background Maps'? 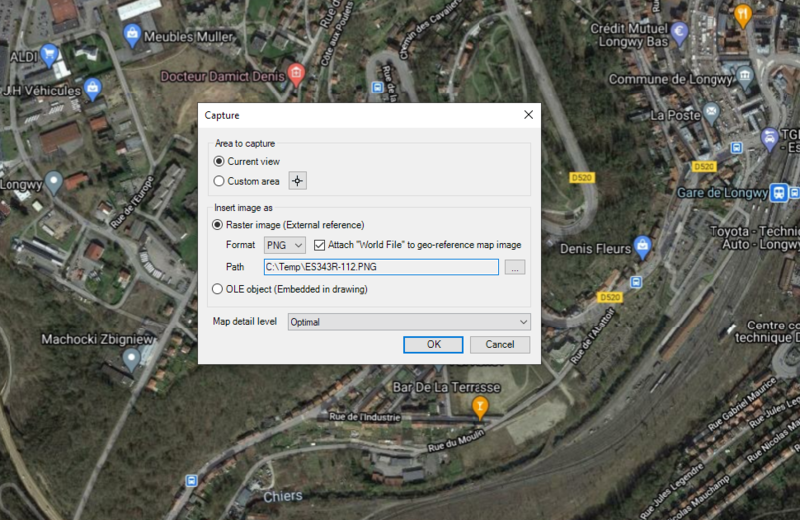 6 Is there any way to "repair" or "clean" the image of the 'Background Map'? 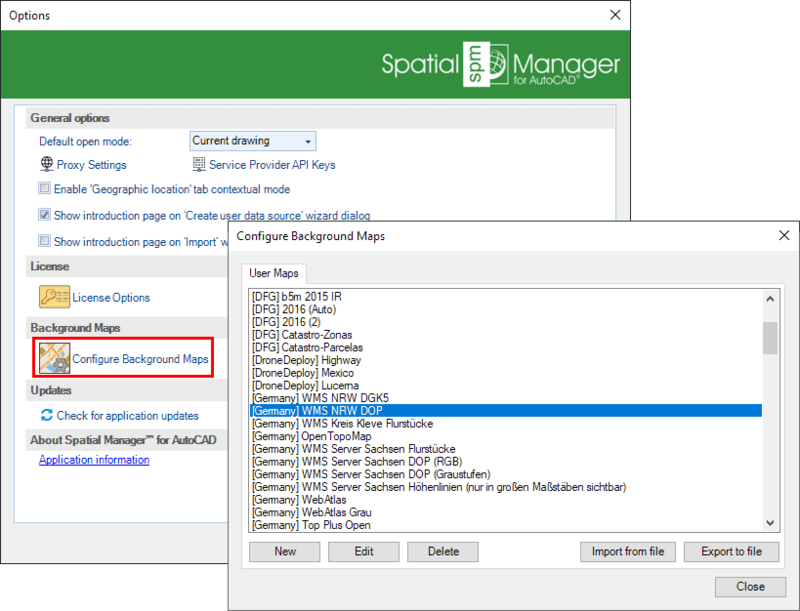 7 Can I configure my own Web Map Services? 8 Does the 'Background Maps' technology support Transparent maps? 9 Is there any way to get static "Snapshots" of the 'Background Maps'? 10 Is it necessary to have some special consideration when Printing or Plotting 'Background Maps'? 11 Can I enhance the quality of the 'Background Maps'? 12 How can I improve the performance of the 'Background Maps' in AutoCAD? 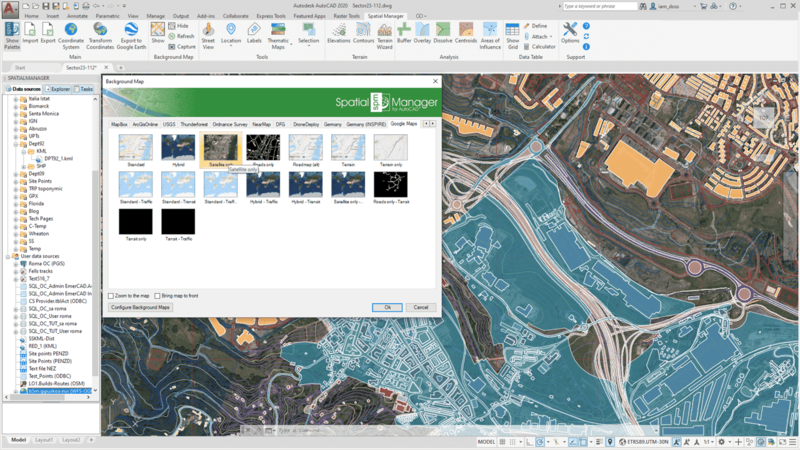 13 Can I use the 'Background Maps' and the 'Online Maps' of AutoCAD? How can I display a 'Background Map' in the drawing? See also the "Notes" in the article Need to have some reference in the drawing to use the 'Background Maps'? How can I hide the 'Background Map' in the drawing? Need to have some reference in the drawing to use the 'Background Maps'? Is there any special condition to use the 'Background Maps'? Is there any way to "repair" or "clean" the image of the 'Background Map'? Can I configure my own Web Map Services? 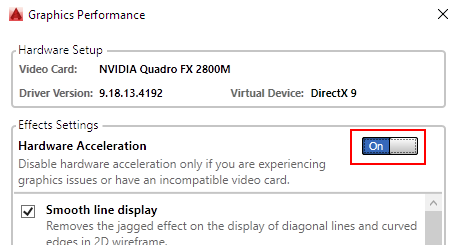 If not available the previous one, then the CRS "WGS 84 / Pseudo-Mercator (SRID 3857)"
See also "How can I improve the performance of the 'Background Maps' in AutoCAD?" Does the 'Background Maps' technology support Transparent maps? Is there any way to get static "Snapshots" of the 'Background Maps'? 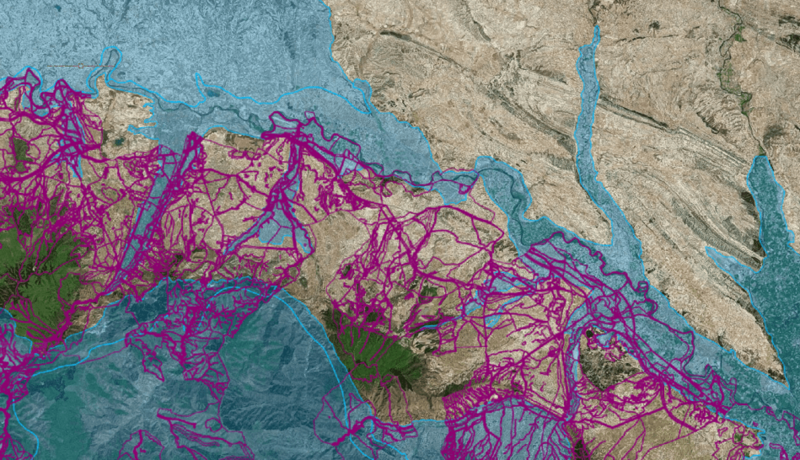 Is it necessary to have some special consideration when Printing or Plotting 'Background Maps'? Can I enhance the quality of the 'Background Maps'? How can I improve the performance of the 'Background Maps' in AutoCAD? 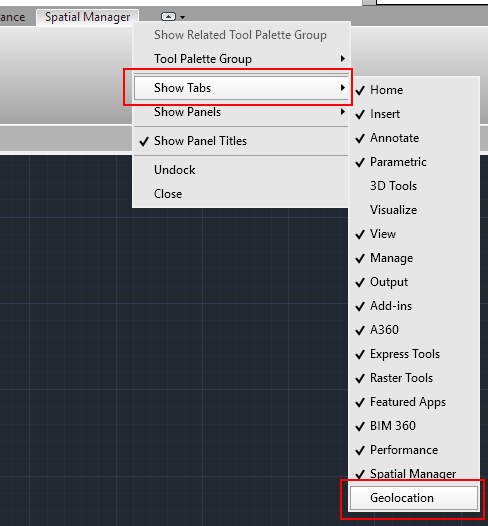 Can I use the 'Background Maps' and the 'Online Maps' of AutoCAD? This page was last modified on 17 April 2019, at 11:20. This page has been accessed 98,097 times.